You can argue that the most important part of a video marketing campaign is the workflow production that happens before you start rolling your camera. How can you build a house without a blueprint? You can’t. 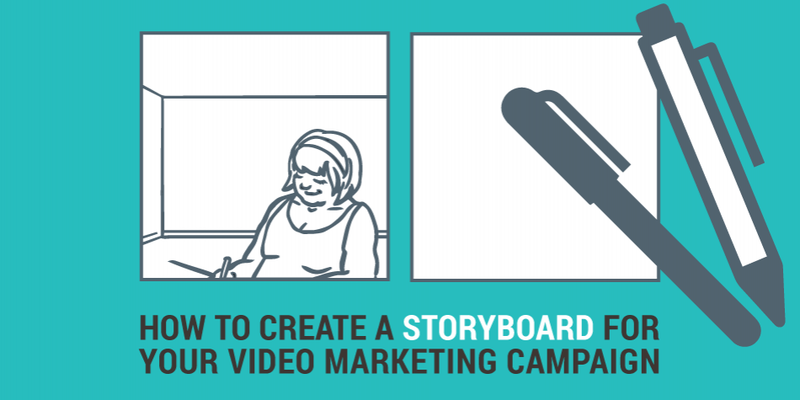 How do you create a successful video marketing campaign without a storyboard? You simply can’t. 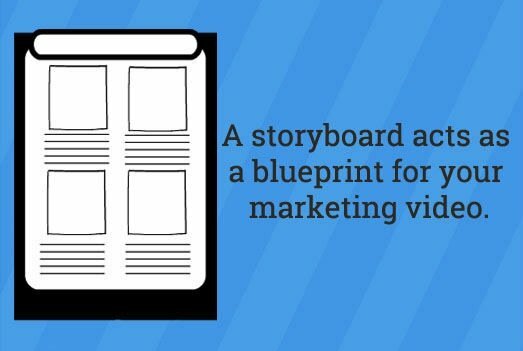 Having an appropriate storyboard in place is such a vital step in finalizing your video marketing plan. They are fun, they provide you with a creative opportunity to showcase your story, but most of all they help show how your video will look before actually shooting or creating it. If you have the relevant experience in creating a storyboard, you can register for your Moovly free account here and get started on your video animation. Before we get started on how to get your storyboard right, you need to actually understand just how meaningful they are. 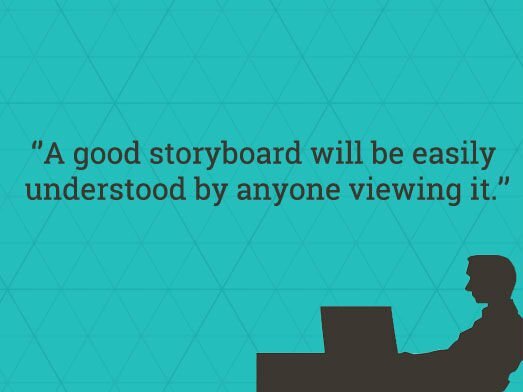 Why are storyboards so important? Before we tell you more about the importance of storyboarding, here is a little storyboard throwback. The first one was developed at the Walt Disney Studios in the early 1930s and exclusively used for Disney’s short film Three Little Pigs. It is simply an adaption of the video, and acts as a blueprint for the actions and dialogues. You may be wondering, are they just used for cartoons and comics? To be incredibly honest, no. A storyboard is an invaluable way to anticipate your online video, before spending your resources and time making your video. For starters, creating a storyboard will help give you a better understanding whether the concept of your video will work or not. Rather than having a verbalized concept, it will help validate your video. It will also make your life much easier when it comes to shooting your video. It ensures you don’t miss out important scenes and acts as a guideline to instruct your marketing video. Finally, they should help identify any errors at an early stage. Errors in voice overs and media are commonly sought out during this stage. You wouldn’t believe the amount of time, effort and money storyboarding saves during the production of your marketing video. Below are our best tips (in order) to ensure your storyboard is done correctly. It is always best to take the first few moments to understand and write down the timeline of your proposed video marketing campaign. Having a timeline will organize your campaign and show your videos specific events in chronological order. Think of your timeline as a chance to brainstorm and organize the content of your video accordingly. Before designing your storyboard, it’s important to know what story you are going to tell and how you are going to tell it. You can access our blog here if you are looking for some extra guidance on how to tell your story. Your storyboard should give a greater understanding of how your story will look in a video. Remember a storyboard is not a flipbook, the point isn’t to try to recreate the entire actions but rather show the key moments that will grip your viewers. A storyboard is a blueprint. It acts as a plan for your video. That doesn’t mean it can’t be incredibly detailed. Storyboards for movies usually have much more ground to cover with each specific scene having their own storyboard. Although the concept is relatively similar, keep in mind that a 30-second marketing video should ideally have 15 frames. If this is your first time drawing a storyboard, then we suggest adding a few more boxes, just to give yourself more space to map out your video. Have you already finalized your storyboard? Great, login or register for free to get started on your Moovly animation. Time to add your script. For those who have approached this blog without having an appropriate script in place, we strongly advise you to take some time to create a perfect script. Your script should not be rushed; it should address your audience and focus on your goals. Here’s how you can learn how to write a great script. Only once your script is finished should you come back to creating your storyboard (You may thank us later). Remember those square boxes we told you to draw earlier? Write down the lines from your script directly under each one. It could also be beneficial to have some side notes as to what’s happening. Having your script written down will help you understand what to correctly draw for each action shot. Time to bring your story to life. Literally. Although there is online software out there that can help you create online storyboards, your pencil is often the greatest tool. Yes, digital programs can help keep your stories organized and look lovely, but nothing is more natural and time efficient than picking up a pencil and drawing your animations yourself. Anyone who loves drawing will relish this stage. Storyboards give you the opportunity to draw your animations and start visualizing your story. But what about the rest of us who are less artistic? We have one piece of advice. Have fun with it. This is your first opportunity to see how your story flows. To see if it works and brings your animations to life. It doesn’t have to be drawn to perfection. Just make sure your storyboard has enough detail for an outsider to understand what is happening, to know what/ if any characters are involved and what actions are taking place. Your storyboard is complete! Like any important piece of work, you need to review it. We wouldn’t have included this part if it wasn’t vital. Make any necessary final changes and edit your descriptions and script if needs be. We recommend giving your finished piece to a friend or family member, to make sure they understand what’s happening and ensure it flows nicely. Your storyboard isn’t designed to be presented. Have fun with it. Don’t worry about making mistakes, just ensure that it accurately mirrors your video in a way that is clear and easy to understand. Sign up here for your free Moovly account and get started on your video animation today.